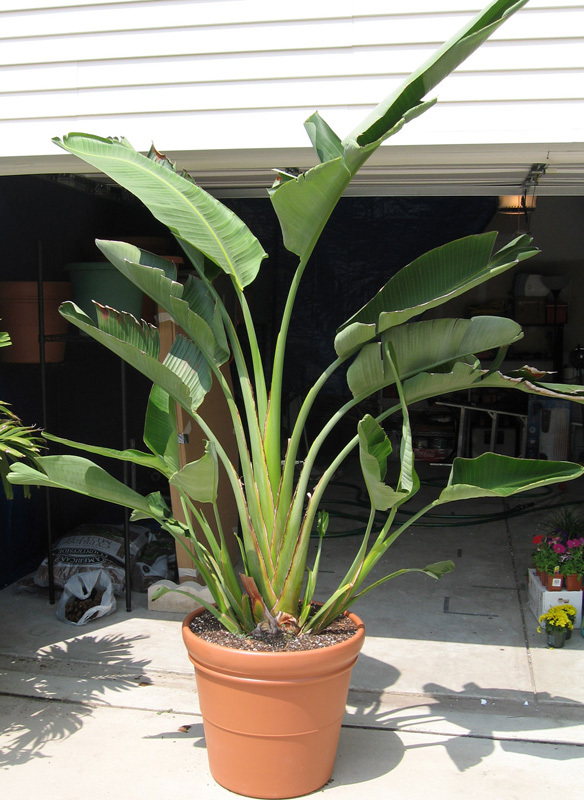 This is an easy to grow, very non-messy, low maintenance plant that is a good choice for use near pool and patio. Plants are inexpensive, available in a range of sizes, and grow rather quickly and so are a great choice for new home landscapes in warm areas. 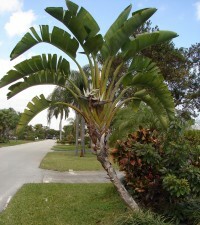 Bird of paradise tree is just the ticket when you want tough, durable beauty and unique form in a large plant. If kept potted, they can bloom. If given enough sun even a pot won't stop this beauty from doing it's thing. 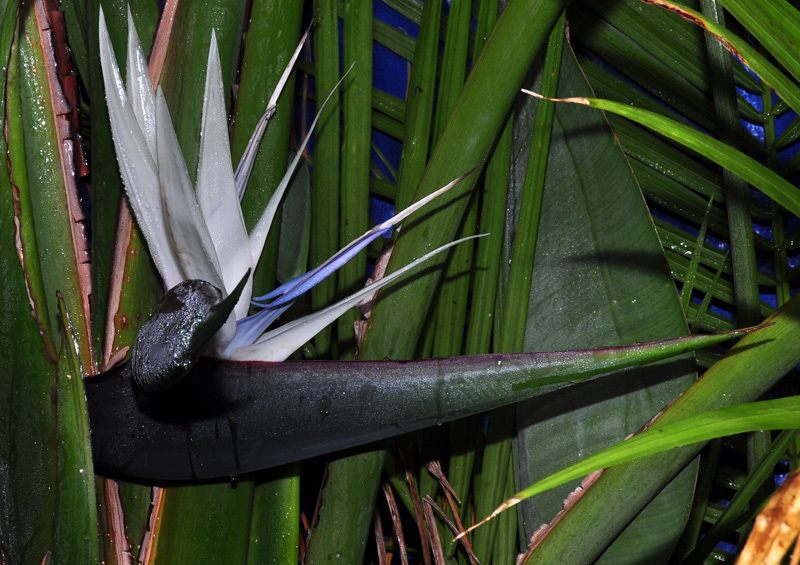 Read more in our Getting the Bird of Paradise to bloom blog entry. Birds of Paradise are one of my favorite flowers. If this is a cousin to them it certainly doesn’t look it. I don’t find this plant to be very attractive. It has it’s uses in a garden if planted in the right places to create a fuller garden look. Stefanie H.